For more from Stockholm click here! A First look at Ashley on the set of the ABC show ‘Pan Am’ this Monday morning, November 28th in New York City! It was announced earlier that Ashley had signed up to guest star in the 60’s period drama, with her first episode (of four!) 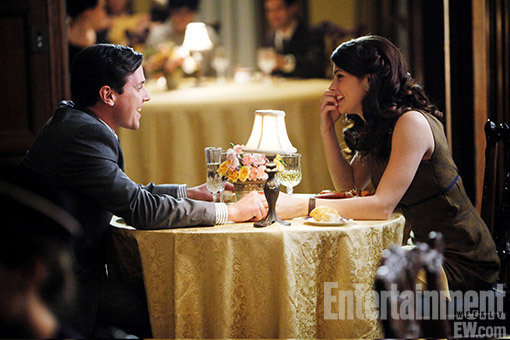 airing next Sunday, Dec 4th at 10 ET | 9c on ABC. Check out the new photos under the cut! Don’t forget to tune in on ABC next Sunday, December 4th at 10 ET for Ashley’s first appearance on the show! More Fanpics of Ashley Greene at The Official ‘Breaking Dawn’ Twilight Convention! Thanks to Kellan Lutz Online, we have these new photos of Ashley and co. from the ‘Breaking Dawn’ Twilight Convention held in L.A on November 5th! For even more photos and videos from this event click here! see more under the cut..
For more from Toronto click here! New Old ‘Breaking Dawn’ Still Featuring Alice Cullen now in HQ! A Warrior’s Heart is slated for a limited release on December 2nd, and nationwide through VOD and Apple iTunes. For everything from the Canadian premiere click here! For everything from Paris click here! I’ve been holding back on posting this just so as not to spoil Ashley’s US Esquire that I expected to come out this December, but apparently it’s not going to. So for those of you who can’t do more waiting, we now have the full scans and a translation of Ashley’s interview in Esquire México, courtesy of Twilight Poison. Check out the gorgeous HQ scans + few sound bites from the interview below, and make sure to head over to the source for the full thing! New interview with Ashley and co-star Jackson Rathbone from the ‘Breaking Dawn’ L.A. press junket. For the ‘Werewolves’ part of the interview head over to the source! The Twilight Saga is ending. What will you miss about it? Ashley: We have become like an extended family and I will miss the company and the comfort zone. Jackson: The family reunions. Good thing we have another year before Part 2 comes out. Still loving it. What have you learned from the Twilight Saga? Jackson: As a young actor, I learn a lot from those around me whether they are the same age, younger or older. In the Twilight Saga, I’ve worked with great directors and they have inspired me to follow in their footsteps. I hope to start directing next year. I want to explore the lightness of life. You know the mechanics and how the scenes are done. Do you get excited when you watch the movie on the big screen just like the audience does? Ashley: There are so many different elements involved in making a film great. As actors, we do our job and, like the audience, we are just curious how everything will come out on the screen. We look forward to seeing the finished product. That’s how I feel every time I watch the Twilight Saga. Jackson: We do know what’s going on but we’re also excited just like everybody else to see the result of what we’ve worked on for six or seven months. As Ashley said, there are several elements involved in shooting a movie and I’m eager to see how all these elements are put together. 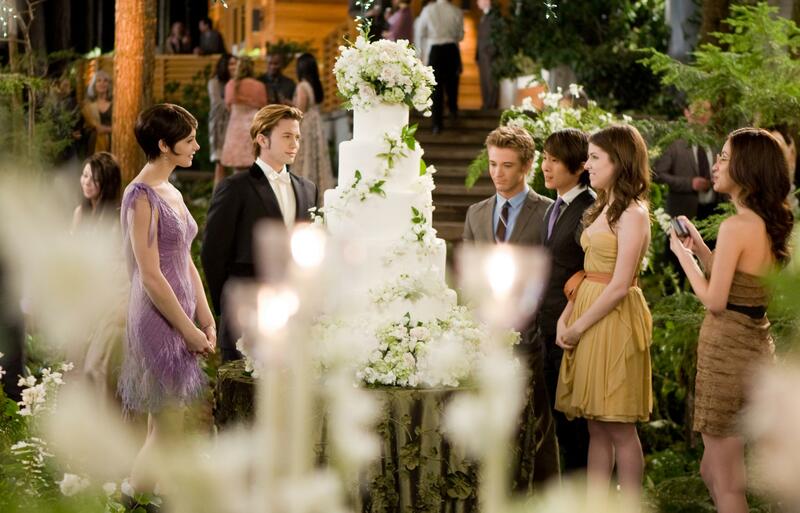 New ‘Breaking Dawn’ Wedding Shot of Alice and the Cullens! With the beginning of the end of the vampire saga in theatres now, the actress reflects on the experience and discusses what’s to come for her career. Since she was cast in 2008, Ashley Greene has had the job of stepping into one of the most beloved characters from Stephenie Meyer’s The Twilight Saga novels. As Alice Cullen, she plays Edward’s (Robert Pattinson) closest sibling and possibly Bella’s (Kristen Stewart) fiercest protector next to him and Jacob (Taylor Lautner). As with any film series based on novels with a rabid fan base, the responsibility must weigh heavily on an actress. For 24-year-old Greene, that seems especially true. “This was my first real job as an actor and in a million years, I never could have dreamed up what Twilight would become,” Greene tells The Hollywood Reporter. On the eve of Twilight: Breaking Dawn Part 1’smassive opening weekend, Greene opened up to THR about the film’s success, her experience being a part of the phenomenon, and what fans can expect from her next. As Jennifer Lawrence, Liam Hemsworth, Josh Hutcherson and the rest of the cast of “The Hunger Games” are about to embark on a journey of screaming teenagers, publicity bonanzas and paparazzi stalking, they’d probably benefit from a few pointers from someone who’s been there. Enter Ashley Greene, wise sage of “The Twilight Saga” franchise. Greene confessed that even she has had moments since “Twilight” debuted in 2008 where the fandemonium got the best of her. “There were certainly points where I got a little overwhelmed and I didn’t know what was going on,” she admitted. New ‘Breaking Dawn’ Still of Alice and Jasper! 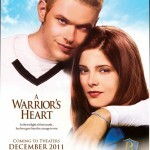 Xenon pictures have launched a website for the Ashley and Kellan Lutz-starrer ‘A Warrior’s Heart’ ! The film debuts Dec 2nd in theaters (limited), and nationwide through VOD and Apple iTunes. Check out the new still below (+old stills in better quality), and make sure to browse through our ‘Warrior’s Heart’ tag for more from the film. Ashley Greene is Guest Editor on Shopbop.com! Ashley Greene makes guest appearance on the Shopbop.com Holiday Gift Boutique. Kicking off the season’s celebration Ashley Greene exclusively reveals her wish list of must-have gift items from Shopbop for the holidays and gives an intimate insight into her holiday plans and daily style recommendations. We have created a shoppable virtual window display, reminiscent of brick and mortar stores. The boutique: shopbop.com/Holiday-gift-boutique presents five curated decorative holiday windows each featuring a fantastical spin on a female archetype with an endless variety of items from fashion, lifestyle, decorative, books, and jewelry accessories. Having just premiered the latest Twilight Saga: Breaking Dawn Part 1, and slated to release five major studio films in the next 2 years, Ashley Greene is now one of Hollywood’s most sought-after young film actresses. She was also just announced as the face of DKNY and DKNY jeans on October 2011. An international figure recognized for her confident, modern style Ashley Greene best represents the spirit and global face of the Shopbop woman today, who will be able to relate to her versatile and authentic approach to fashion. We are excited to have her as our guest and for our customers to have the opportunity to be exposed to their style icon. 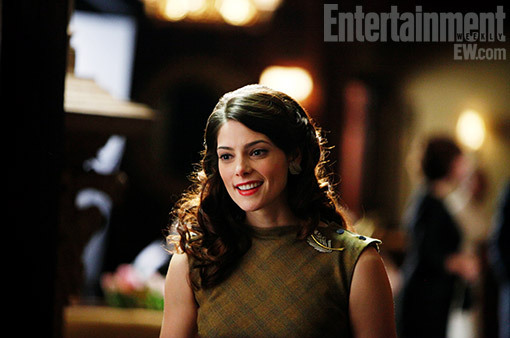 Her role as Alice Cullen in The Twilight Saga has made Ashley Greene one of Hollywood’s most recognized and sought-after young talents.Breaking Dawn is in theatres now, and Greene has five major studio films slated for release in the next two years. We talked style, Twilight, and holiday traditions with the actress. SHOPBOP: What’s your daily fashion staple? ASHLEY GREENE: A great pair of well-fitting skinny jeans works with any outfit. My go-to is DKNY. SB: How would you describe your style? AG: Ever-evolving. But generally, I stick to pretty classic and comfortable pieces, and dress them up with statement jewelry. SB: Who is your style icon? AG: Audrey Hepburn is my ultimate style icon. I also love Gwenyth Paltrow and Kate Bosworth. SB: The Twilight saga is coming to a close. What’s next on your acting agenda? AG: I have a bunch of movies coming out next year, which I’m really excited about: a thriller called The Apparition, a comedy called Butter, and a coming-of-age comedy called LOL. I just signed on for an action film called Olivia Twisted and to be the new face of DKNY, so I have that to look forward to as well. SB: What is your favorite holiday tradition? AG: My Aunt Ida makes an amazing chocolate derby pie, which I look forward to every holiday season! SB: How do you plan to celebrate the holidays this year? AG: I’m going to Mexico with my family. I’m excited to relax and spend time with them! SB: This holiday season, what’s the number one item on your wish list? AG: Time with my family. This past year has been a fantastic whirlwind, so I’m grateful to have the opportunity to spend time with them this holiday season. Check out Ashley Greene’s Holiday Must-Haves! Source | Via | Thanks candylacegirl for the heads up! Part one of “Breaking Dawn,” the latest in the “Twilight” movie series, comes out today. On Nov. 9, cast members made a stop in Dallas, where more than 300 screaming fans awaited. Q: Many of your fans are passionate; do you have any crazy stories? Greene: I actually got my hair pulled the other day, and I spent a lot of time growing that. And marriage proposals, they’re always insane. I got one from a woman who asked if I would marry her husband. Q: Do you do any rituals before filming or get into character? Greene: I think for me going and sitting for two hours to get hair and makeup, the contacts, the wig; if that doesn’t get you into character, I don’t know what does. Q: If you weren’t acting, what would you be doing? Greene: Oh gosh, I’d probably be homeless. No, psychology always interested me finding out how the human mind works, so yeah. Q: How are you most like your character? Greene: I think I’m honestly related to how much she loves her family and I’m very close to my family. Q: Which of the “Twilight” movies is your favorite? Greene: I’m going to go with “Twilight” because it’s where I first met all these guys and it’s the book I fell in love with, all the characters in the franchise, especially Alice. Oh, and especially Jasper; I’m in love with Jasper.